This week we (myself and the elementary instructional technology coach in my district) are leading a number of educational technology PD sessions about many different topics for teachers to attend before going back to school. The more I interact with some of these tools, the more I really love and swear by them to be used by any age or subject area. Two of the tools I’m teaching this week, Kahoot and Infuse Learning, make a perfect formative assessment pair. I just had to share them! Kahoot turns your normal questions into a fun, interactive game that kids of all ages really do love to play! It is similar to the trivia game at BW3’s; the quicker you answer the question correctly, the more points you are assigned. To see Kahoot in action with students, watch the short video below. Infuse Learning can be used on the fly for a number of quick questions throughout a lessons or you can save and distribute quizzes. Question options include students’ drawings, multiple choice, true/false, extended response, Lickert scale and more. 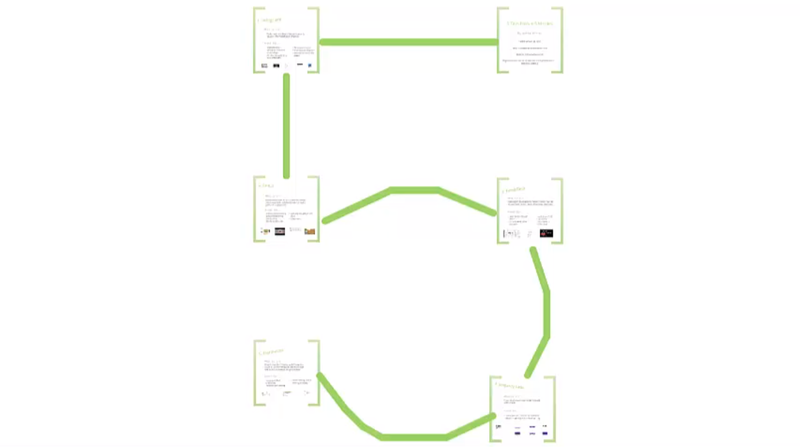 For a quick overview of Infuse Learning, watch the video below. Below are the following 5 reasons I think these tools are fabulous and realistic formative assessment tools. Instant access to detailed results– No need to collect a bunch of papers, take the time to grade every students’ response, put the results in a spreadsheet and analyze the results yourself, and the other timely things teachers have to do to get meaningful information about students’ progress with more traditional classroom techniques. Kahoot gives you a break down of how many students responded with each answer choice after each question, allowing the teacher to address any common misconceptions on the spot. At the end of every Kahoot game, the teacher can download the results. The results will tell you how long each student took to answer each question, their response, how many students responded correctly and incorrectly to each question and more. Infuse Learning results essentially tell you the same thing when you save students’ responses. When using the quick assessment tools, you can quickly save the results to the results section and keep moving so your teaching isn’t interrupted. Being able to look at students’ responses as they come in allows you to address any errors or misconceptions on the spot. Kids are engaged and interested– I’ve seen kids at the high school level and at the grade school level have a blast with Kahoot. They will be begging you to play the game again, so they can increase their score and beat their classmates next time. If you don’t go over an explanation of the correct answers with them right away, kids will be looking up the answers on their own in between rounds of playing the game to improve their score. The time limit keeps kids on their toes and prevents them from looking up answers as they go. Kids enjoy Kahoot, so they stay engaged with the game, and ultimately the content. When using the quick assessment tools in Infuse Learning throughout a lesson, students must be following along and paying attention in order to answer. The teacher can see the student’s responses, so it is clear who is paying attention and who may be daydreaming in the back. The teacher can also see who has responded and who has not responded to any question, so no student can get out of answering a question. Simple to set up and navigate the teacher’s side– What teacher has time to learn another complicated tool or software? The easier the better when it comes to saving time, and these two tools couldn’t be easier to navigate and set up. Since it shouldn’t take an overwhelming amount of time to get your quizzes set up in these tools, teachers will be more likely to use them on a daily/weekly basis. Students (or participants) don’t need to have an account & password- they will just need the room pin number provided by each site once you are logged in as the teacher. Will work on any device- this makes these tools useful in any setting: BYO, 1:1or checking out labs/carts. So how do they go together? I would use Infuse Learning in my classroom on (almost) a daily basis to establish a routine with students (you can also import class lists and use Infuse Learning to take attendance based on students “entering” your class) and keep my lessons interactive. I would try to use the quiz feature to set up exit slips as frequently as I could. Kahoot would come into play in my classroom for review sessions before tests and to check understanding for more complicated or dull topics that need a little spicing up to keep students interested. 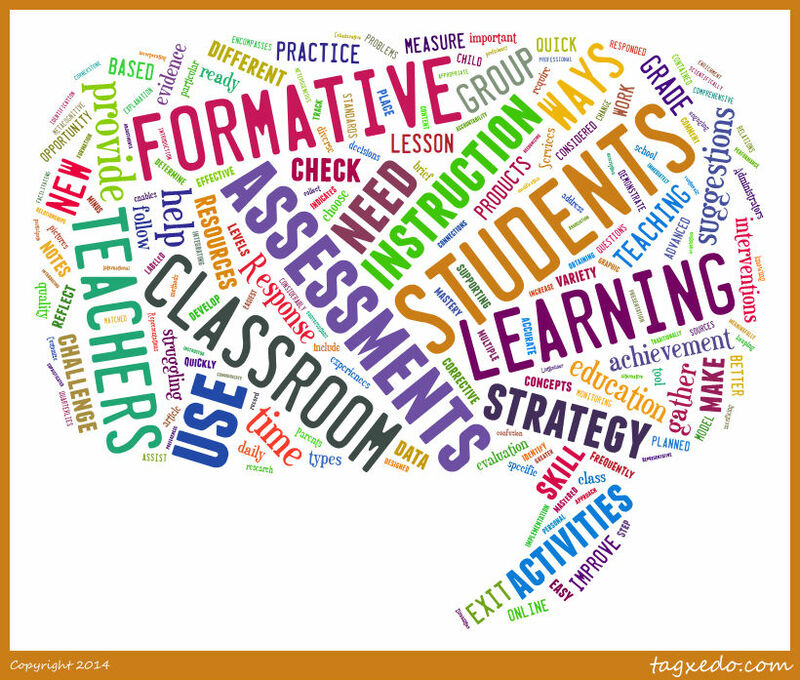 What are your favorite formative assessment tools to use in todays classroom? What do you think of Kahoot and Infuse Learning? April marked the last of this years monthly Lunch & Learns, where teachers were invited to bring their lunch to the library during their lunch bell on a designated Thursday each month. I wanted the last session to spotlight some teachers throughout the building, and allow them to present some of their edtech success stories. I’m happy to say that I had trouble narrowing it down to 4-5 teachers from each lunch bell! Teacher presenters ranged from 5 to 40 years of experience teaching, and the tools they presented on also ranged in tech-ability level. I asked teachers to answer the following questions in an 8-10 minute presentation of the tool. What was the activity/project and how did you decide on having students use this particular tech tool? How was this different than the traditional project/activity you previously used? How would you change the project for future use? How much were you involved with setting up the technology portion of the project for students? How long did it take? How difficult was it? What were the results? How did this improve/enhance student learning? How did the students respond? If there is an opportunity to quickly interact with your tech tool, I’d like to do that with the teachers. I filmed each of the teachers’ presentations and uploaded them into the corresponding Lunch & Learn resource folder on Schoology. Teachers asked the presenters a lot of questions, and there was a lot of great brainstorming going on. 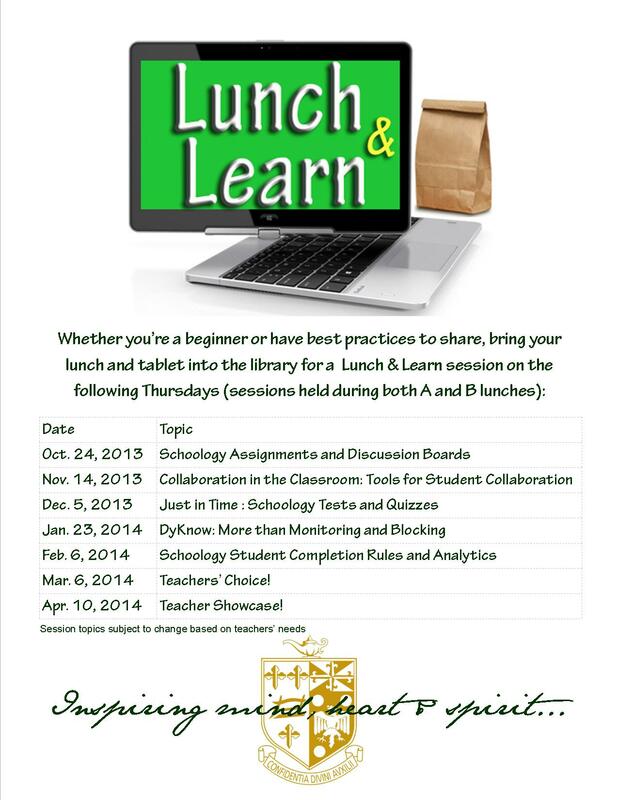 I know some teachers have already implemented some of these tools after seeing them presented at the Lunch & Learn. A brief summary of each of the highlighted tools are below. Word track changes/review tools– Word has a handy feature that allows you track your and student changes, add comments and more. This is a great way to grade papers, so your students can easily see all your comments and suggested changes. It’s also a great way to see peer-editing progress. Screencasting– Screencasting records whatever you’re doing on your screen and you can also record your voice giving instructions. Screencast-o-matic (screencasting tool) allows you to download your video to your computer or upload your video to the their website or YouTube and share the link with anyone. VoiceThread– VoiceThread is like an audio discussion board. You can upload a picture or even a PowerPoint presentation and record your voice over each slide. Students can create audio comments on each slide too. Both you and the students also have an inking option that is recorded/played back as you speak as well. Weebly– Weebly allows you and your students to create websites/portfolios. It is an extremely easy platform to use. There is also a blog feature. You can manage your students sites and they can be password protected. Symbaloo– Symbaloo is a visual bookmarking site. It’s an easier way to keep track of all your favorites and website resources for students. Kahoot!– Kahoot is an awesome, interactive, quiz game. It’s similar to a BDubs trivia game; the less time you take to answer the questions, the more points you get. You can download the results to see what each student answered, how much time they took, etc. It’s really easy to set up and the kids LOVE it! Wikispaces– Wikispaces has a great educational side to their wiki platform. Wikis are a great place for students to complete group work because you can track all the changes they make and students can work on the wiki from anywhere-they don’t have to be together. They have a project side to the wiki that allows you to put students into groups, and only those students have access to their group pages. Wikispaces was highlighted at a Lunch & Learn earlier in the year and caught this teacher’s eye to implement. Blogs– Our creative writing teacher showed off her student created blogs in WordPress and how she manages them. Minecraft– Our Latin teacher talked about how letting his students use a tool they were comfortable with (and he was not) transformed an okay project into a really awesome experience. His students researched important buildings and places in Roman/Latin history. Previously they had to create the building out of a clay, a diagram, a drawing, etc. He allowed his students to use Minecraft and was blown away by the detail they were able to put into their creations. Read about all the Lunch & Learns this year by clicking here. How do you spotlight teachers and encourage teachers from different subject areas to engage in conversations about best practices together? I’m a very visual person, so naturally I’m drawn to charts, diagrams and anything that I can look at and understand. I’ve made a couple other charts to help people pick technology tools based on Bloom’s Taxonomy and web tools by category. I’m particularly proud of this new chart that I’ve been working on for quite some time! Click this image for the full version! I truly believe technology enhances the classroom, but I never think it should be used just for the sake of using it. This is another visual I created to help teachers select the right technology tool for the job. I hope it helps you think backwards (or rather the “right” way) to think about selecting a technology tool to use in your class. It starts by asking what you want students to do, and then you pick a goal, such as explain a concept. Follow the diagram until you either reach a list of tech tools to help you or your students complete this task or you reach a prompting question, such as “do you need them to do this verbally?” Based on your yes or no answer, you’ll finally come to a list of edtech tools. All the tools found on the web are hyperlinked. If you’re not a visual person like myself, scroll to the second page that is just a list of the goals and all the corresponding links (no prompting questions). For this, the Bloom’s and the web 2.0 by category chart, visit my website! What tools or goals would you add to the chart? 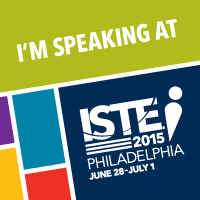 I was fortunate enough to attend my first ISTE conference this year. It was an awe inspiring, eye opening and often times an overwhelming experience. I want to reflect on the sessions, posters and products I loved and the key takeaways I gained before the conference is, all too soon, a distant past. I’ll do my best to include links to resources and websites I gained at the conference. Warning: this is an extremely long post! I’ll start with the opening keynote speaker, Jane McGonigal. She was AWESOME! She spoke about gaming in education. I like to think of myself as pretty open to any technology that can enhance the learning process, and more importantly, any technology that can enhance the learning process that kids really enjoy! However, I’ve also noticed that I can feel myself putting up a wall when people talk about gaming in the classroom. McGonigal’s keynote truly inspired me to work with teachers to incorporate simulations into the classroom. Where a simulation may not be best fitted, to encourage teachers to use the “10 positive emotions” people love about games into their lessons. 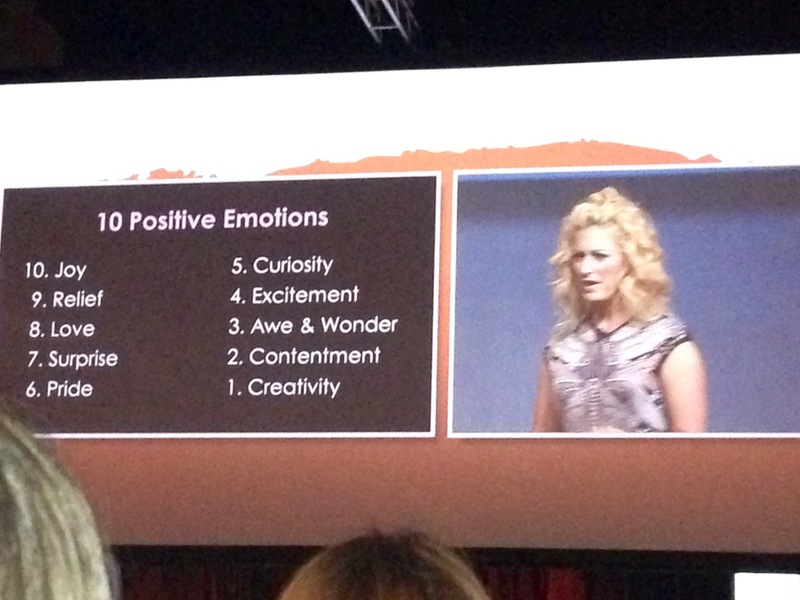 I have a photograph of Jane’s slide listing these 10 positive emotions in order below (joy, relief, love, surprise, pride, curiosity, excitement, awe & wonder, contentment, creativity). These 10 emotions are one of my favorite and most applicable takeaways from the entire conference. McGonigal also shared some eye opening data on the amount of gamers, hours gamers spend playing video games and the brain “on games.” McGonigal shared two previous games she had a hand in making- they were truly impressive. The first, Evoke, encouraged students to save the world. The second, Find the Future, was a mission to get more young people in the New York Library. If you know of some great secondary games/simulations for the classroom, please share them with me by commenting on this post. Later Monday, I attended the Intel Education corporate spotlight session called Lessons from the Field- 1:1 Computing in Action. This inspiring presentation was led by Dyane Smokorowski, Darcy Grimes and Dr. Amy Lou Weems (each of which is the deserving recipient of the Teacher of the Year award in their respective states). These three teachers highlighted different projects they have done in their own classrooms. First up was Dr. Amy Lou Weems. She discussed a handful of resources that she uses in her home economics classes. Students do different projects that incorporate many different subject areas- Interior design of a house, combines art, math, economics, design principles, etc. Dr. Weems used practical web tools that helped shaped students educational pathways and tools they could use for the rest of their lives to ensure a healthful lifestyle. Next up, was third grade teacher Darcy Grimes. She spoke about the economics project she did with two other schools across North Carolina. Grimes and the other two teachers planned the project together and kept kids at the same pace. Students were to create their own business and product or service in a small group with their classmates. They were allowed to choose any device in the classroom to complete the different steps of the project. Some devices worked better for one group’s plan, and some worked better for others. When the project was finished they presented their businesses. But, not just to their own classmates. All three schools video-conferenced, so the students could present to the other two classes as well. Then students from all three classes had the opportunity to vote on their favorites and purchase the goods and services from any other business within the three classes. Grimes, and the other two teachers involved, didn’t just tell their third grade students about economics and how the world is a big place where we all must work together. Those third grade students from the mountains of North Carolina executed actual “global” collaboration and economics. Lastly, we heard from Dyane Smokorowski about her middle school language arts students from Kansas. She talked to us about the idea of Recipes vs Relevance for students. I absolutely loved this correlation. Recipe: Teacher provides students with an assignment, the exact template the final piece should be turned in (8 page paper, 12 pt. font, etc. ), and all the steps to get there. A recipe doesn’t teach students to think on their own, it teaches them how to follow instructions. Relevance: Teaching students valuable, career readiness skills. Using project based learning, where the teacher guides, but the students lead. They fail at times, but that is part of the learning process and they learn from that, make corrections, and finally come to a solid conclusion/solution. The students in Smokorowski’s class have one large PBL experience every year. This particular year, her students were creating video games about books they had read. Students used Inkscape, similar to Adobe Illustrator (but free). Dyane wanted to teach her students that Google isn’t the only way to find information; talking to a knowledgeable person can be just as enlightening as finding a great internet resource. Students Skyped with experts from a university in Utah about different areas of gaming and computer programming. Smokorowski’s students contacted a high school in California, and those students created any animated characters Smokorowski’s students needed for their games. With a little outreach, these 8th grade students from Kansas were working with people in Utah and California- all student initiated! To top off an already incredible project, the Kansas Department of Education and the Governor invited Smokorowski’s students to speak and present what they had done and learned. The students put together and executed the presentation- not Smokorowski. Absolutely incredible! This session taught me that anything is possible as long as educators are inspired and still have the desire to do great things! Teachers have to be willing to let go of all the control and not need a cookie cutter final project from students. With over 800 sessions at the conference, it was easy to miss something. Luckily, I just happened to be walking by when this session was starting and popped in. Julia Fischer, the Professional Development Strategist for Clarity Innovations, was presenting this session by Intel Education. 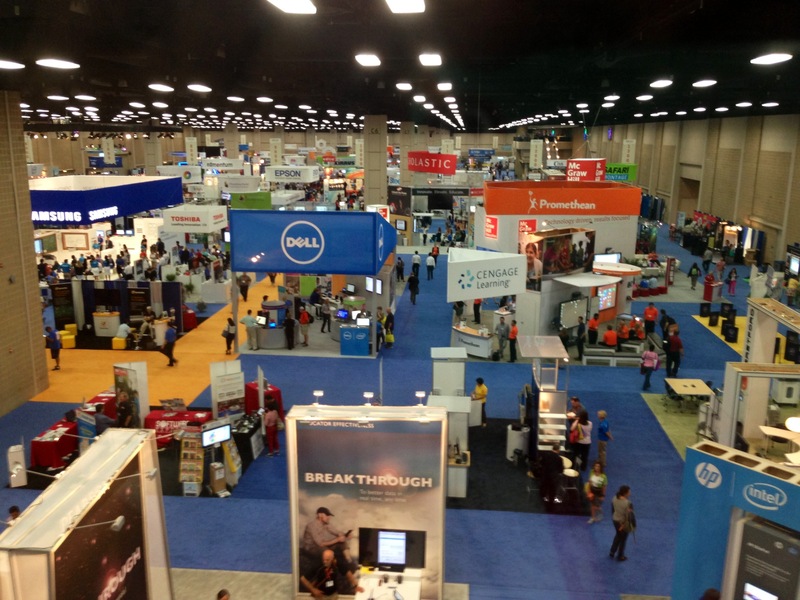 She shared tons of free, online resources from Intel for teachers and educators. I’ll link to them below. Everything can be found at intel.com/teachers. Register to use the tools here. Showing Evidence Tool– this tool helps students learn how to use evidence to prove something and/or validate their thoughts. Fischer said she saw dramatic improvements in students’ persuasive writing and conclusions. There are pre-populated high school modules. Seeing Reason Tool– this tool helps students understand cause and effect in complex relationships, and it even lets them create their own mind maps. Intel also offers free, online Professional Development for teachers and administrators with the purchase of any Intel device- awesome! Props to Intel for their commitment to providing free and awesome tools for teachers! Desler, Bernasconi and Mendoza have all played a role in the formation of the Digital ID Wiki, which contains an abundance of digital citizenship resources. This wiki is going to come in handy when I begin to plan a digital citizenship day in the fall for our students. Building Identities- Digital tattoos, how will you show up on Google? They also discussed Common Sense Media and some of the cool things they offer. (At one of the poster sessions, I found out the FTC will provide free digital citizenship resources to schools. I feel horrible, but I cannot remember the presenters or the name of the poster to credit sharing this valuable information. When I logged on to order some resources, I found there are great resources for Business and Health too. We will also have the PDF versions of digital citizenship resources I ordered on our school’s website. Order yours at https://bulkorder.ftc.gov. I absolutely loved this poster session by Rushton Hurley. He shared some great ideas for teachers who are uncomfortable diving into technology- start small and build on that. Let kids pick how they want to submit something- not everything needs to be a paper or a PowerPoint. Let’s take a video for example. Start week one by telling the kids to research and choose a platform to make a video because “I may not know how to do it”. Yes, it is okay to admit to kids that you, as the teacher, may not know how to use every tech tool out there. Let kids work in groups on a video. This way any student who may not know how to make a video will learn from his/her peers. If a student truly does not want to make a video, give them the option to make a poster. This is also a “safety net” to avoid any excuses on the due date. Computer crashed- where’s your poster? File wouldn’t convert- where’s your poster? Link is broken to view video- where’s your poster? You get the idea. Have a script (content) check half way through the project. This will allow you to make sure the students truly understand the material. This is also a good way to grade a majority of the assignment before the due date, or to make sure a student doesn’t completely fail if they show up with no video or poster on the final due date because they have already completed the “meat” of the project. Have students upload the video to a video site, like YouTube, and submit a link to turn in the final video. This will eliminate video formats not working correctly or flash drives, DVD’s etc. being turned in. On turn in day, let all students share their videos with the class. Laureen Reynolds from Staff Development for Educators presented a handful of different free, online web 2.0 tools to use in the classroom. Photo Peach– easy digital slideshows that are ready in seconds. This is a great resource to meet Common Core standards requiring students to create and present. Dropbox– a cloud based filing cabinet. I use Dropbox and love it! Lino– a virtual bulletin board. Reynolds said she started using it with colleagues to communicate ideas and information when they cannot always connect face to face, but has now started using it with teachers and students for assignments. This would also be a great collaboration space for students to communicate about group projects. Power of blogs for quick information. Pixton– has a free version to create digital comic strips. When she said “free version”, I was assuming the features would be very limited. As she walked us through this tool (she walked us through every tool, which was very nice! ), I was extremely impressed with the amount of options the free version offers. You can follow Reynolds’ blog at thebulletinboard.org. IPv6- Everything will have an IP address. Ohler used the example of a low tire on a vehicle. The tire will send out information that it is low, the car will do a search for nearby gas stations and/or tire stores that can fill the tire and calculate directions to the nearest spot. The car will then tell you, the driver, what’s going on, where to go to fix it and how to get there. Ohler also talked about the idea of an all-encompassing e-portfolio (including academics, service, etc. ), which is an idea I’ve been playing with for a while. Through my own thoughts, I’ve wondered the best way to set up an e-portfolio from the time our students enter as freshmen; have it capture everything they do at our school through academics, extra-curricular and service; narrow the focus as they get older and start to decide what they want their major to be in college; and present a final portfolio to a panel upon graduation. If you have any ideas, I’d love for you to comment at the end of this post. The vendor Expo started Monday morning. I wish I had taken a picture of the vendors on Monday, as opposed to Wednesday afternoon to better show the craziness of the Expo. Relationships- build and connect: what have you learned from the teacher, too? They also made some other recommendations when talking about the three big points above. Don’t ignore any levels of teachers- challenge the advanced, and work with the newbies. This is something I need to make sure I get better at. It’s always easy to skip over the advanced technology users because they’ve already got it. Ending the conference with Melissa Shields’ upbeat presentation was just what I needed! She gave me some great ideas and left me feeling like I had gotten what I came for at the conference. Shields shared a handful of thought provoking statements with us that I want to share. If your child were going in for surgery, would you want a surgeon who hadn’t changed/improved his practices and methods since 1957? Then why would you want your child to have a teacher who hasn’t changed/improved his practices in years? Shields talked about an activity she had done at a district retreat with all the school principals and administrators. She gave each schools’ team a flip camera and 30 minutes to create a script and record a video podcast to be uploaded to the district website and Facebook pages by noon that day. They were nervous at first, but all came away making requests for flip cameras at their schools! I’d say that was a successful activity. She also shared about the impressive grant she recently received and what they do with the money. Click here for more information about the grant can be found here. 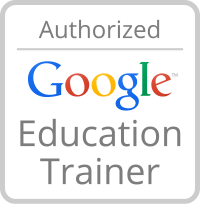 The link to her comprehensive wiki and ISTE presentation resources can be found by clicking here. 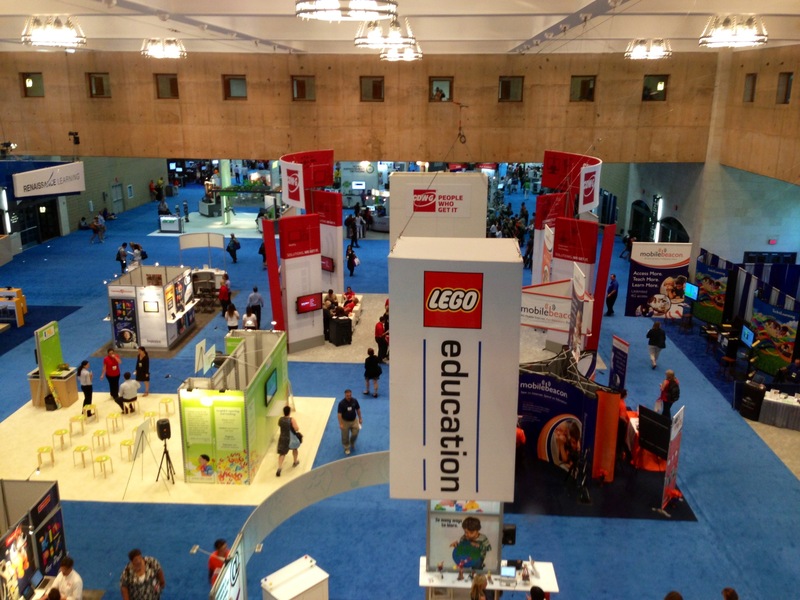 As I’ve rambled on in this post, I feel like I haven’t even grazed the surface of what I learned, saw and experienced at ISTE 2013. Being surrounded by thought leaders and inspiring people for four days definitely gave me a boost of energy and some invaluable takeaways from the conference. I can’t wait to get the school year rolling to implement some of the ideas that were shared at the conference (ok… maybe I’m not ready to give up my summer that fast). 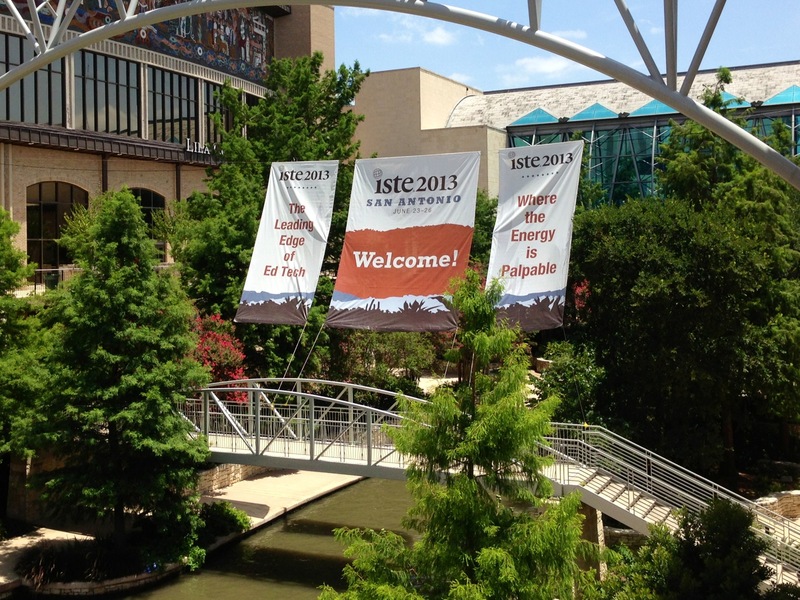 If you attended ISTE 2013 I’d love to hear about the sessions you attended and enjoyed most.